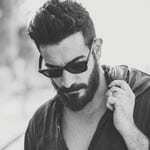 The slick back hair had a crucial turning point for gentlemen who put aside the traditional cuts of the past and it still is a classic legacy that remains popular even today. The modern approach of the slick back top remains the same, but one glance at the sides and you’ll notice a huge difference from the past. 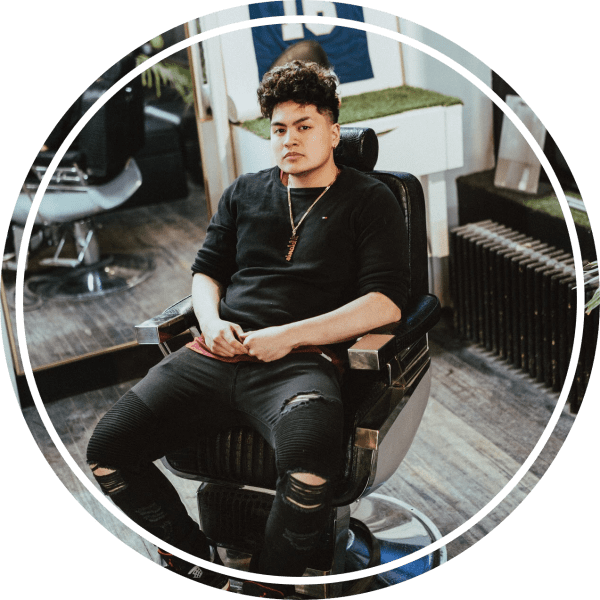 Today’s trends include a large palette from sides with a fade to undercut, but for more inspiration scroll and witness below. 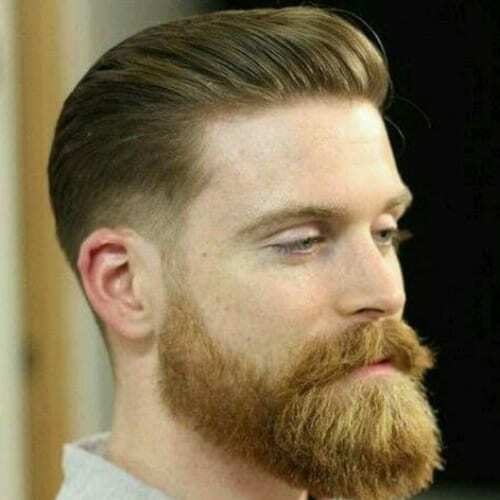 Your rocking retro fade haircut will require a unique level of styling. With a good quality wax, you will surely obtain the Mohawk crest. Make occasional trips to your barber to keep it trimmed and neat. 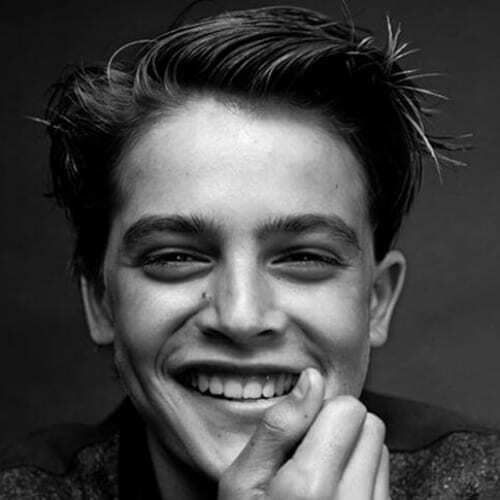 If you are young and looking for a change, the hipster slick back is a fantastic hairstyle for you. The upward swoop of the top hair draws attention to your features. With a little bit of styling, the result guarantees a look that you’ll love. The styled front bangs is another go-to hairstyle perfect for you. 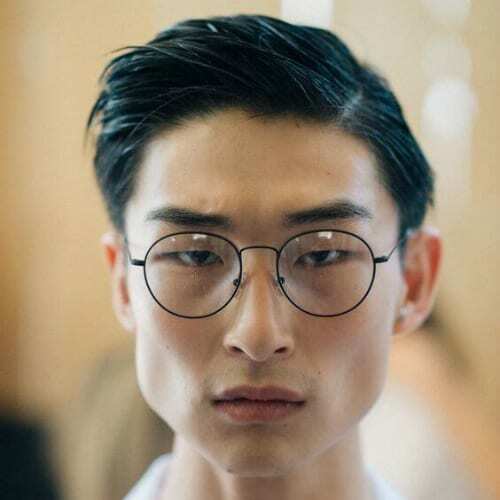 If you have glasses, they can easily be overpowered by longer hair on top with side parting. Remember that short hair will somewhat balance your appearance. The beard blends well with the hair, while the sides and the top are slicked back with soft styling product for a natural look. 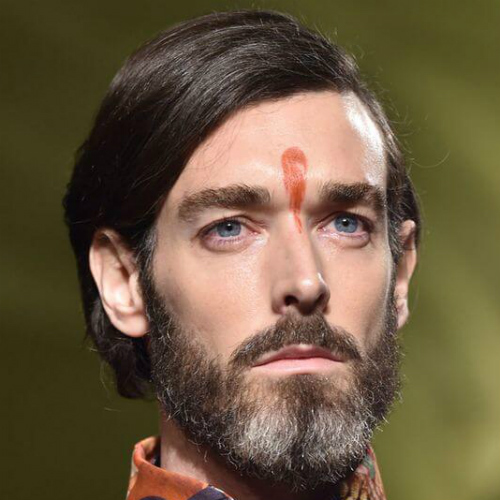 The beard is also styled to give balance and elegance. As the name of the style might suggest, it’s the perfect style for young men. Layers bring out volume to complement your messy hair with minimal styling and maintenance. 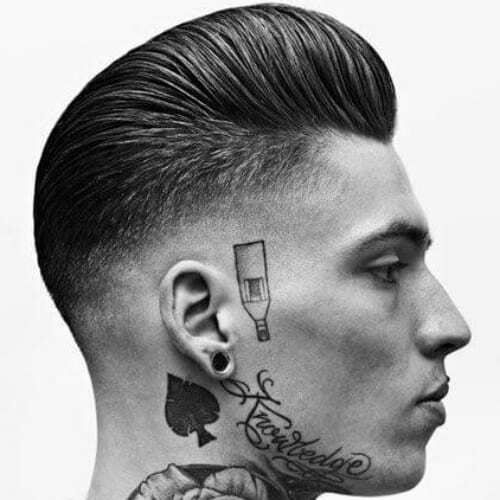 The wavy taper slick back hair is slightly tougher to pull off because of the styling required. When all the hair is in his right place, you get a magnificent classy look. This hairstyle is perfect if you have rounded head. Instead of choosing to comb your hair in a straight line, a curved one is made to create the illusion of a slightly less rounded face. 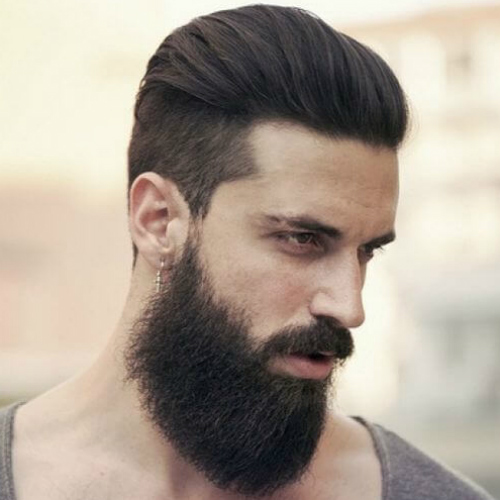 This is the perfect blend for men who like short hair with a long beard. 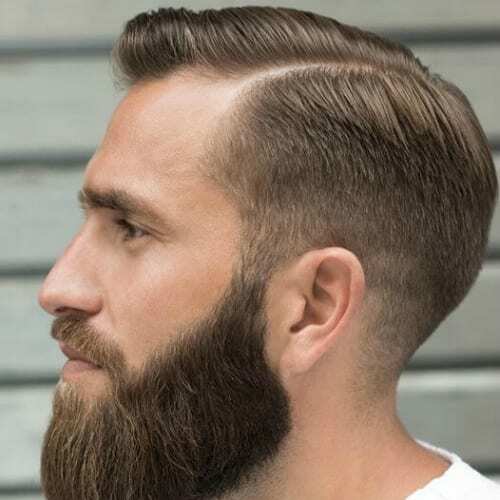 The components of this style are a side part, a very small quiff, and a wide messy beard. 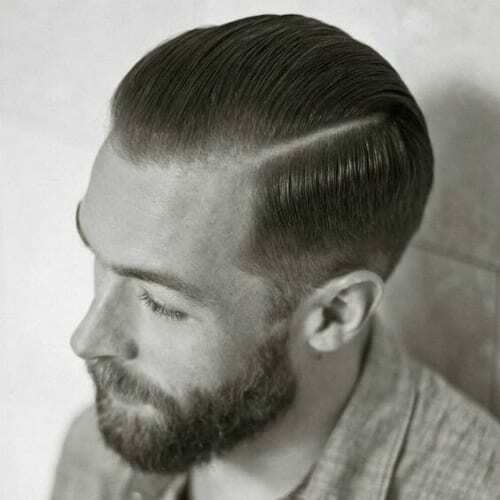 A neat undercut is created to blend with the beard. 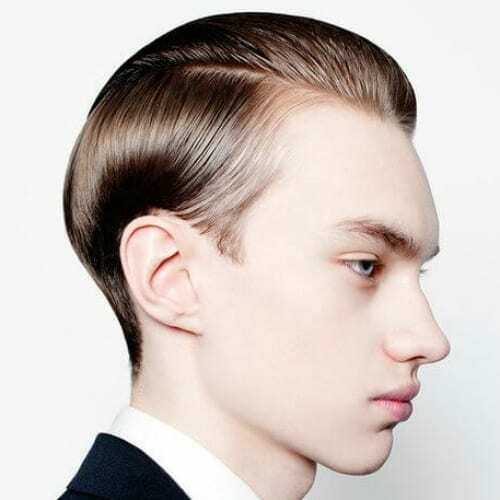 Another vertically inspired hairstyle, the sophisticated slick back is one of men’s favorite haircut. Add texture to your style and get some volume going, or just comb it back a little. This bandhold classy hair is one that refuses to step out of the spotlight. It’s also one of the best haircuts for actors. If you want contrast, keep the sides buzzed and add length on top for a lively variation. 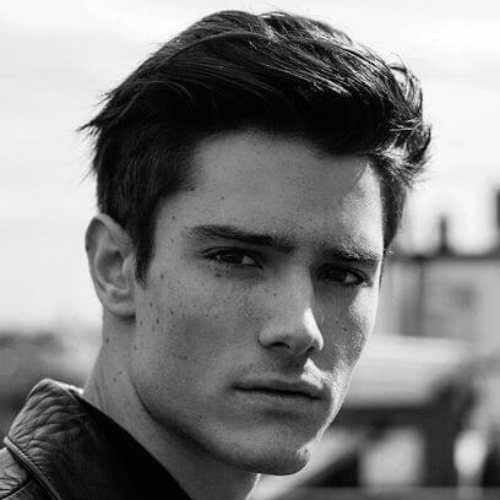 This slick back hair needs pomade or styling gel to hold the hair in shape. Slicking back the hair requires repeated combing and use of quality products that will make your hair smooth. 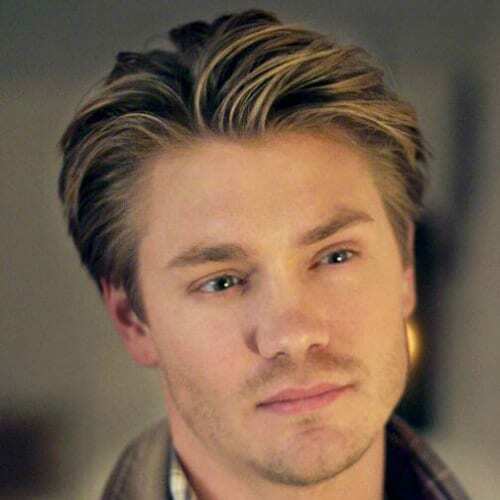 This is one of those timeless hairstyles for men that you see in classic movies. A comb over slicked back style combined with a wet look makes a dangerous combo. If your hair is somehow soft and medium, then you should try this look. Shave your sides buzzed, increasing towards the top. A top part is swept back and bundled in a way where it forms a V shape at the back. 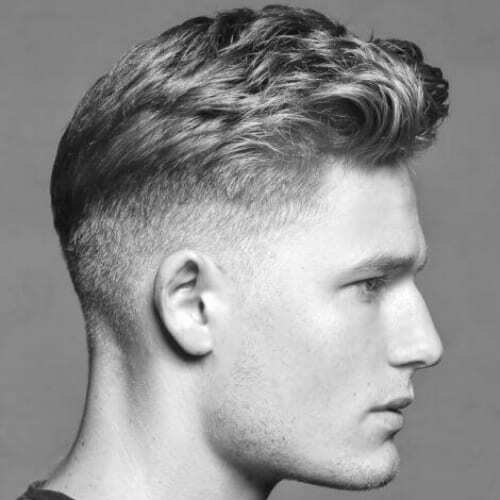 The undefined line in this style separates a top part and the gradual sides. Hair and beard blend forming a smooth transition. 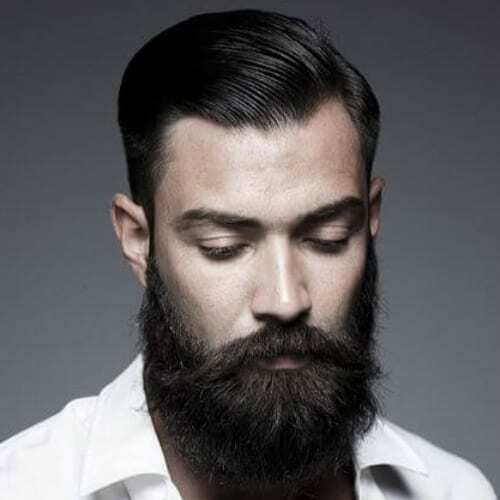 The voluminous beard gives the style balance and a nice masculine touch. 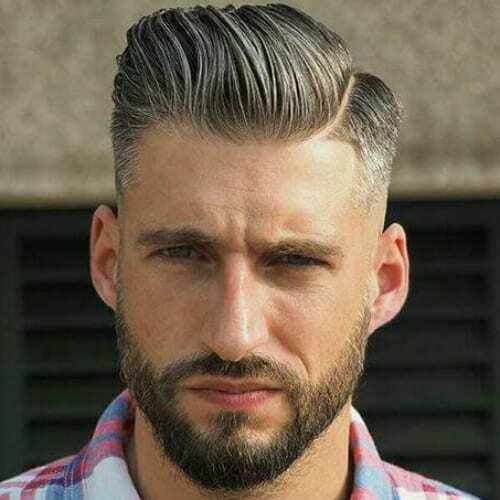 The medium slick back wavy haircut is one of the best eye-catching hairstyles for men with beard. You can tone it down for a more serious look or just style it up high. Like the comb over and quiff, the vintage taper slick back takes your hair out of the face and places it in a prominent spot on the side top. This creates visual contrast and balance. 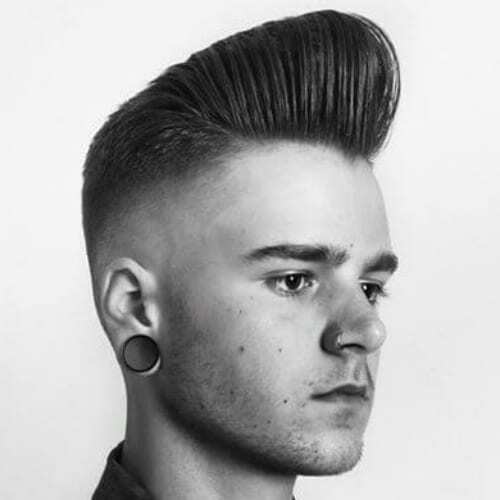 This would be a good style for you, with sides shaved leaving the crown for sweeping back and forming a tall Mohawk quiff. However, using your fingers you can create movement. The slick back on fine hair adds volume to your top and gives contrast. It’s another wild haircut, without a hard part. 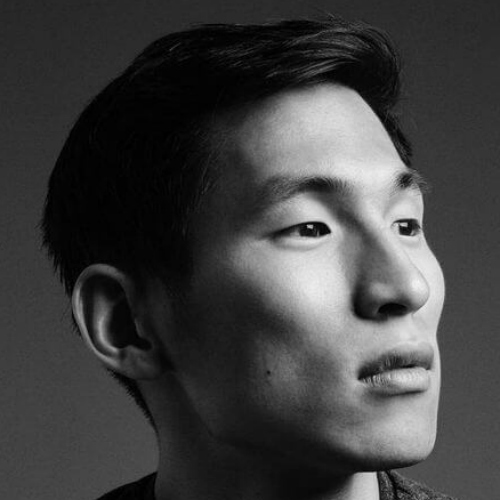 Make it more versatile by having the sides clipped with a medium clipper. This extreme take on the modern slick back elevates every inch of hair and will make you stand out in a crowd with minimum effort. 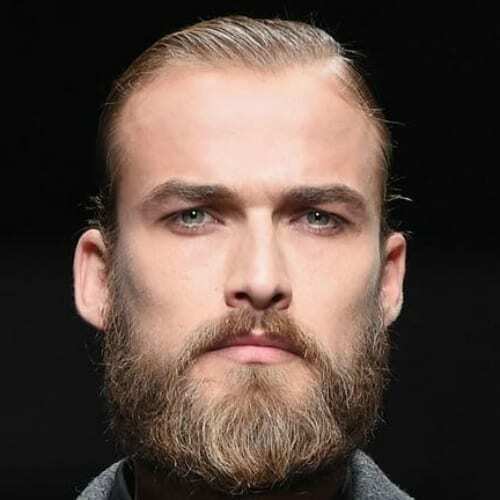 Facial hair adds elegance to a slick back men’s hair in a modern way. 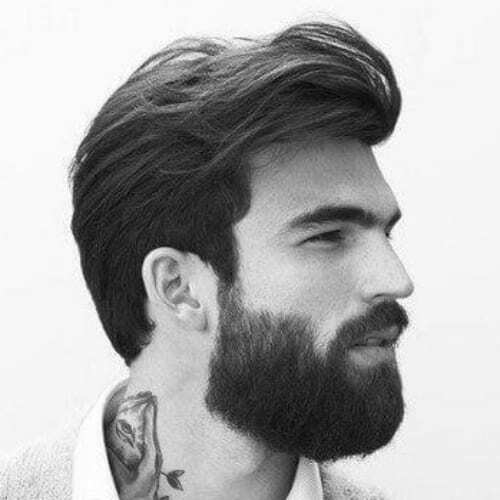 A light beard can do the trick to add balance to this haircut, matching your features and your face shape. The serious length on top gives this oriental slick back an exotic look. 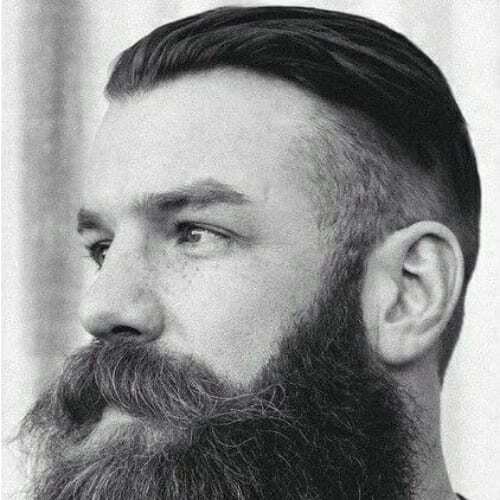 It’s arranged on the ears, and the sides blend well with the medium length beard. If you’re looking for a toned-down style that is suitable for work or other formal occasions, this high fade slick back may be just it. With effortless styling, be ready to get a fantastic look. Using a silky hair product, add glossiness to the hair and make the slick back haircut look magnificent. Part the hair naturally to add sleekness to your style. In this case, your hair must be averagely long so that you can achieve the look. Every part of the head is swept backward. A slick is formed above the forehead which is more smooth. Suited for young men with charm and good taste in clothing, this is gorgeous for thin and thick hair alike because it adds lusciousness to your hair. 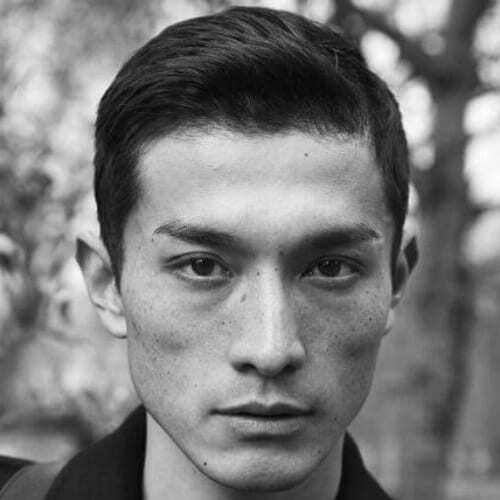 A hard part can make the slick back hair style different, adding softness to the haircut. Comb the front part of the hair by slicking it back, to get the shape. If you like adventurous haircuts then this hairstyle is for you. The top is asymmetrical cut that’s well balanced with the sides. 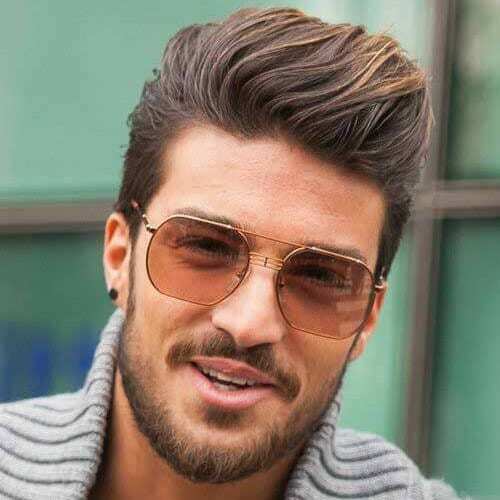 This is the most attention-grabbing hairstyle for men which requires a good cut and some serious styling. Men with medium length hair have various options when it comes to styling, and this slick back hairstyle is no exception. Comb the hair backwards by using your fingers and then the comb. 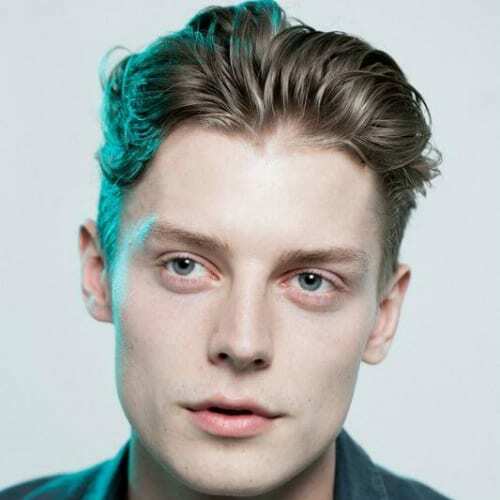 This style is very alike to a classic slick back only that a quiff in this cut is taller. The crown is left long so that you can style a peak. To finish up, the hair is swept backward like with all the other slicked back hairstyles. 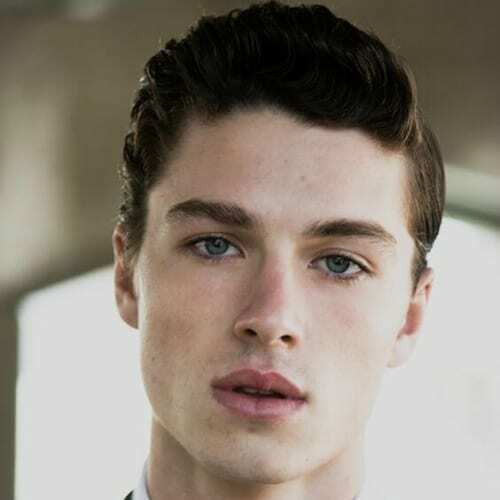 Combine a slight slicked back pompadour with a side part to get a traditional look. This hairstyle goes well with fine or thin hair because of the layering and combing which creates fullness. 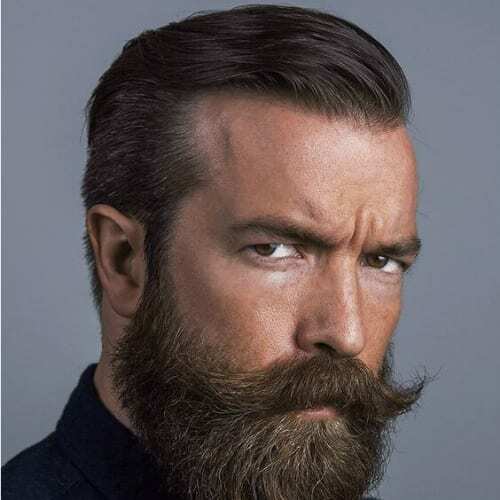 Whether it is a traditional style mustache or a contemporary one, it adds character to the slick back hair. 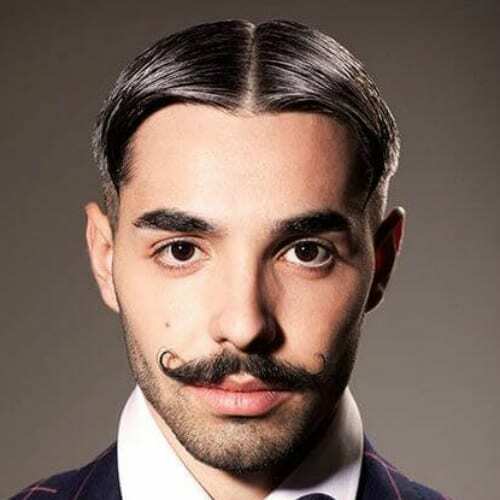 The mustache requires regular trimming in order to complement the hair. This slick back involves shaving the sides buzzed. The rest of the hair is left long and then swept to one side. 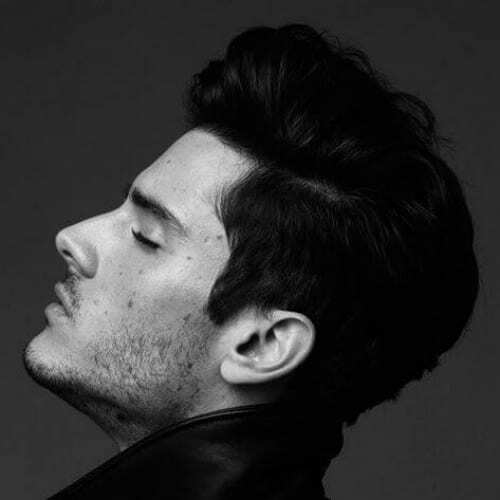 Use strong styling products so that it maintains the proper position. 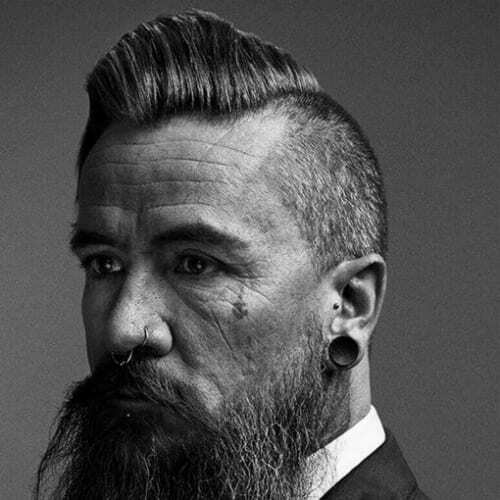 Check out our collection of 53 Magnificent Hairstyles For Older Men! 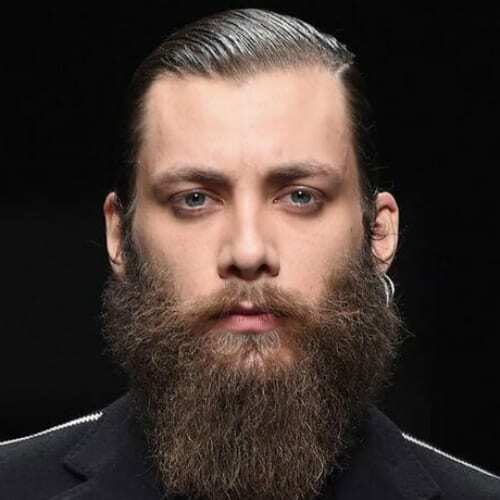 This look consists of a slicked side part and a well-trimmed beard. 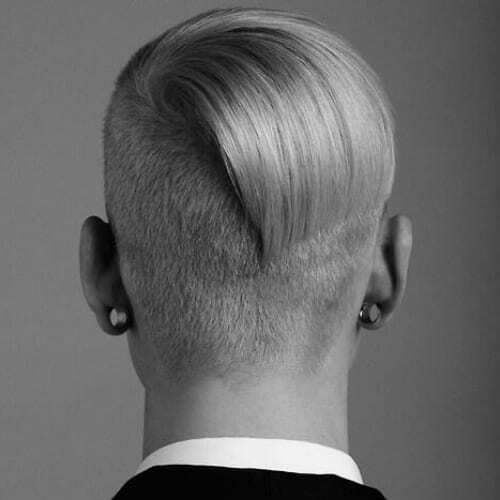 In this picture, the side part is a small quiff which is swept towards the back. The sides are cut very short, while the side part is loose and shiny. 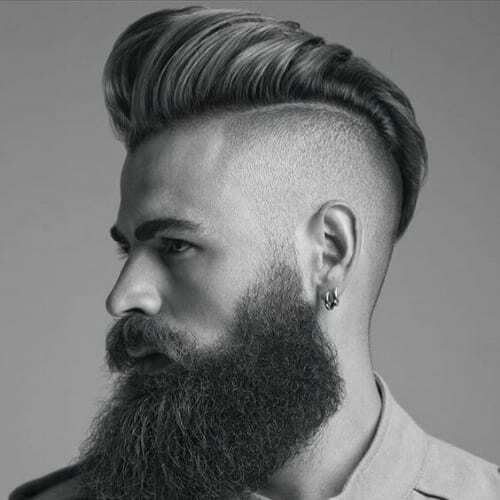 Shave the sides almost uniformly, leaving a very small height on the crown to create volume. The face and neck tattoos complement the haircut by giving it uniqueness. 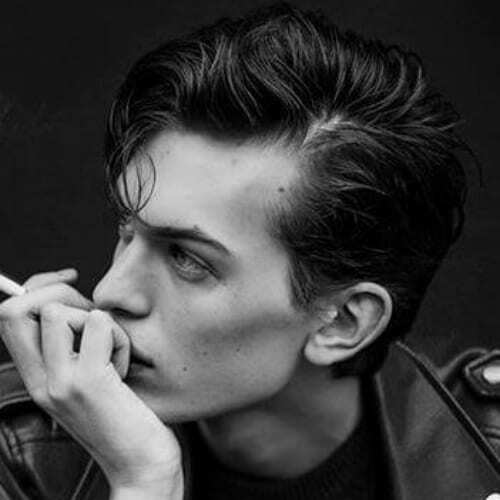 Just like the undercut, the slick back messy hair is one of the classic hairstyles for men. This is perfect if you’re looking for a haircut that works in a variety of circumstances. 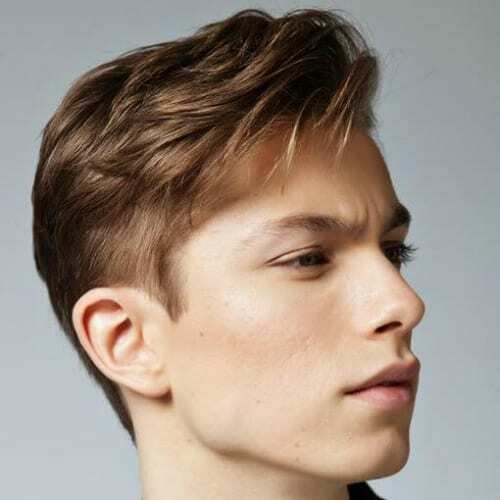 Styles like the side swept undercut look best with a smooth face. This is another look for medium length hair. It’s made out of a disconnected undercut and swept back hair that forms a nice shape and a sideline. Blow dry it and use styling products to make it soft. 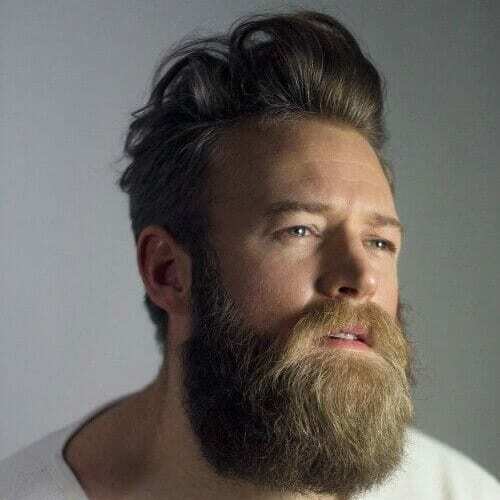 To create this look, it is good to consider if your head is nicely shaped. This design looks good since the hair is cut short on the sides. One on top is left long and swept backward giving you a stylish look. 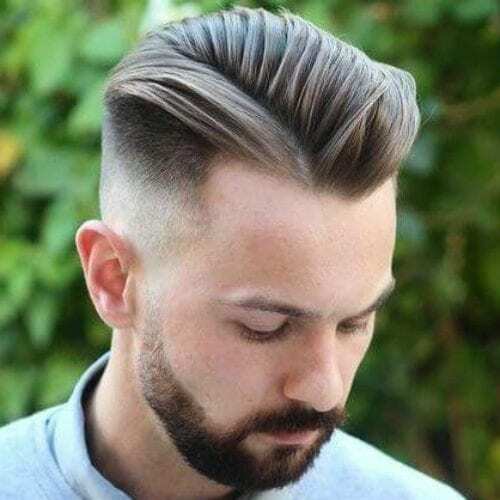 This haircut favors those men with dense hair. Blow dry the hair first and then enhance it with natural products so that it can stay in any position it is kept. By doing so, you create a voluminous slick. 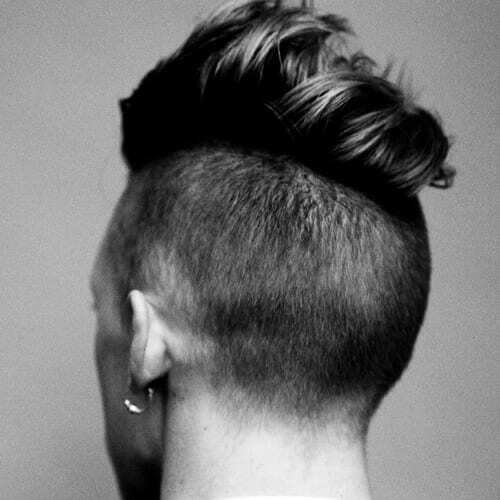 This undercut haircut needs the ability of a professional barber. The long hair is slicked back and the sides styled with a deep undercut. 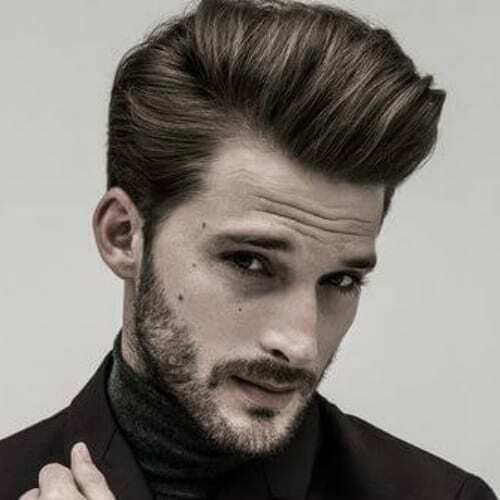 This slick back haircut style looks like the perfect comb-over, with the hair slicked using the help of a comb, but not after you apply pomade first. This requires classic styling since different parts of the head are at different sizes. The crown is left with very long hair which decreases in height backward. The top is swept back in a way it forms a high peak close to the forehead. 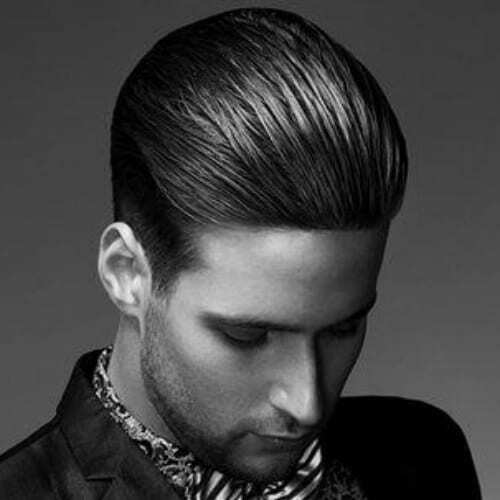 This modern slick back hair is created by using hair product such as gel or a pomade. 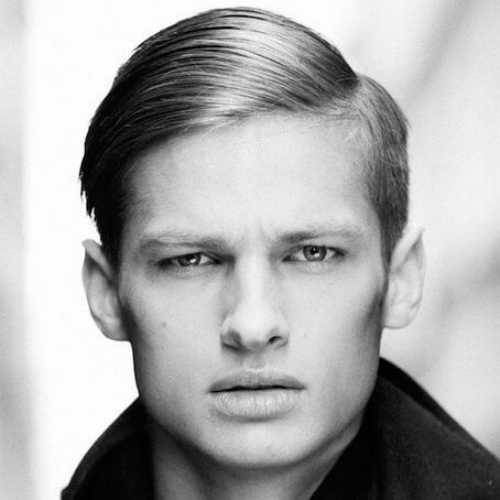 This hairstyle shows you how a short slick back looks like on the catwalk. This is done by making a line on one side of the crown. The part on the other side is left long and swept in the opposite direction. Use hair gel to make your style neat. 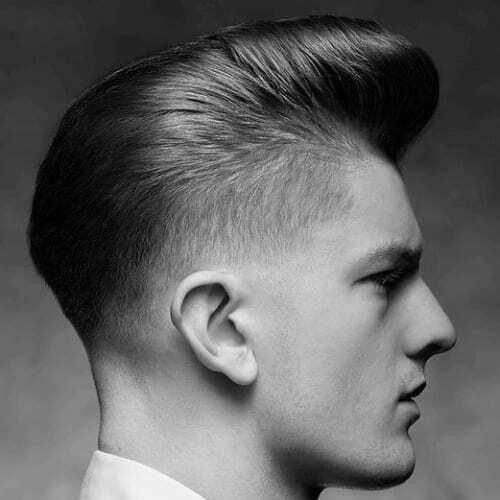 This particular pompadour can take the modern slick back hair to the next level. It adds volume to the crown and by using a styling product, you can achieve the shape you want. The blow dryer is used to slick back thick hair and add volume. 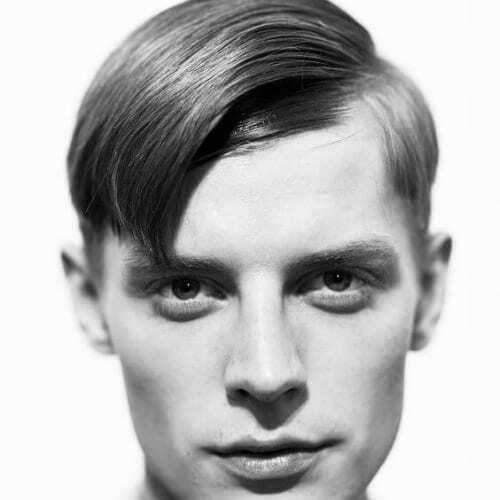 Quality gel or pomade is applied at the roots of the hair to create depth and add shape to the style. One of the sides is shaved leaving the top with long length. The sides are shaved in a manner that the part close to the top is longer than that at the end. It is then swept towards the back, forming the hanging bangs. This extra slick back is yet another style that gives you a timeless look. 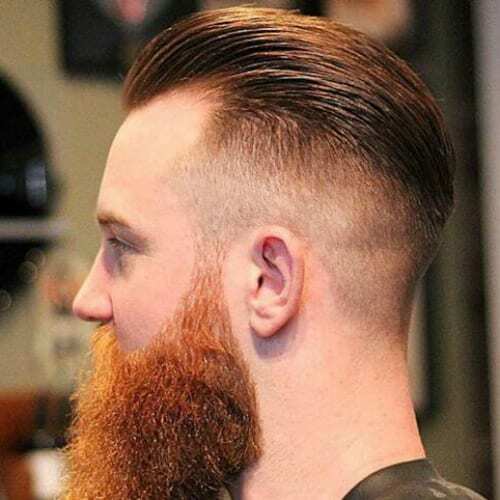 The buzzed sides connected with the beard and high top contrast help your style stand out. 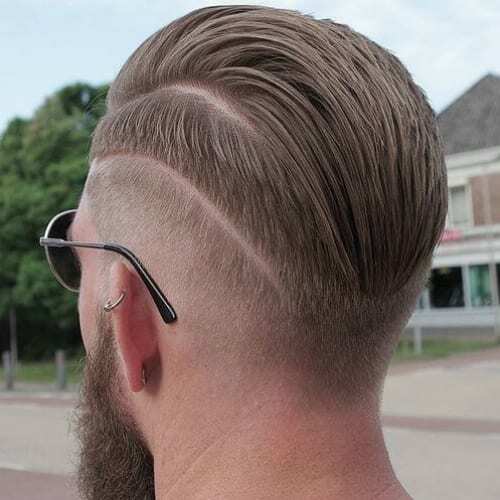 This slick back fade hair is one of the latest hairstyles, where the long hair on the crown is combed towards the back and the sides styled with a skin fade. 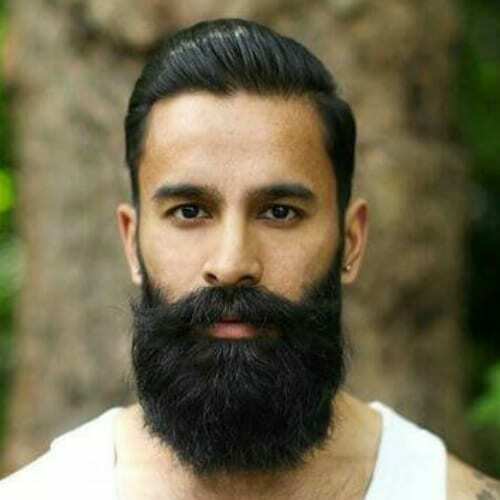 Making your head look shaven it will draw attention to your long and dense beard. An undercut is done and the top hair is enhanced with styling products so that when swept backward it will give you a classy look. Blow dry the top hair in a messy way, add hair product and then sweep it backward. It is the top part that gives this style a special look. It is twirled for a loose and wild appearance. Is really is as easy as it looks, requiring no rocket science aside from a few simple rules: get your hair wet first then towel dry until it’s moist. Fix your hair with pomade, grab your comb and pass your hand on backward with it. The first slick back is to the sides if you’re trying the modern approach. After that, insist several times on the top until you reach perfection. There are so many possible options that you will surely find a style that’s perfect for you. 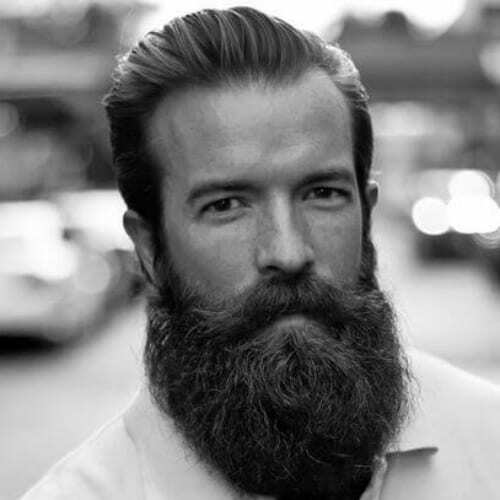 Jeffery worked as a barber throughout the East Coast before moving to sunny California. 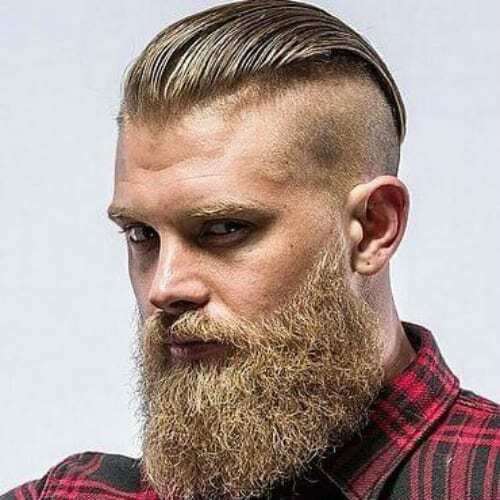 He currently resides in San Francisco and works at a local barbershop. He loves his job and he's always up to speed when it comes to the latest trends regarding men's hairstyles. Barbering is my life now and I have a great opportunity to be something special. Hopefully, you can take a look and enjoy my view on what I think of barbering.